Drenthe ( [ˈdrɛntə]) is a province of the Netherlands, located in the northeast of the country. It is bordered by Overijssel to the south, Friesland to the west, Groningen to the north, and Germany (districts of Emsland and Bentheim) to the east. In January 2017, it had a population of 491,867 and a total area of 2,683 km2 (1,036 sq mi). 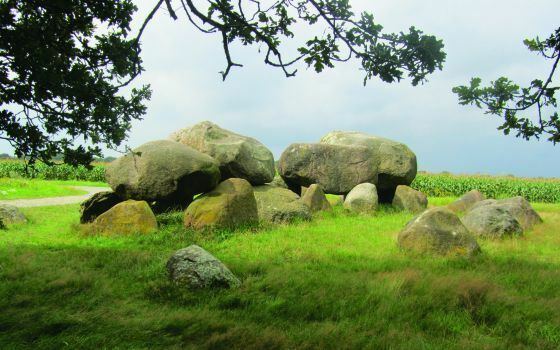 Drenthe has been populated for 150,000 years. The region has subsequently been part of the Bishopric of Utrecht, Habsburg Netherlands, Dutch Republic, Batavian Republic, Kingdom of Holland, and the Netherlands. Drenthe is an official province since 1796. The capital and seat of the provincial government is Assen. The King's Commissioner of Drenthe is Jacques Tichelaar. The Labour Party (PvdA) is the largest party in the States-Provincial, followed by the People's Party for Freedom and Democracy (VVD) and the Christian Democratic Appeal (CDA). Drenthe is a sparsely populated rural area, unlike many other parts of the Netherlands. Except for some industry in Assen and Emmen, the land in Drenthe is mainly used for agriculture. The name Drenthe is said to stem from *thrija-hantja meaning "three lands". After long being subject to the Utrecht diocese, Bishop Henry of Wittelsbach in 1528 ceded Drenthe to Emperor Charles V of Habsburg, who incorporated it into the Habsburg Netherlands. When the Republic of the Seven United Provinces was declared in 1581, Drenthe became part of it, although it never gained provincial status due to its poverty; the province was so poor it was exempt from paying federal taxes and as a consequence was denied representation in the States General. The successor Batavian Republic granted it provincial status on 1 January 1796. Shortly before the outbreak of the Second World War, the Dutch government built a camp near the town of Hooghalen to accommodate German (Jewish) refugees. During the Second World War, the German occupiers used the camp (which they named KZ Westerbork) as a Durchgangslager (transit camp). Many Dutch Jews, Sinti, Roma, resistance combatants and political adversaries were imprisoned before being transferred to concentration and extermination camps in Germany and Poland. Anne Frank was deported on the last train leaving the Westerbork transit camp on 3 September 1944. In the 1970s, there were four hostage crises where South Moluccan terrorists demanded an independent Republic of South Maluku. They held hostages in hijacked trains in 1975 and 1977, in a primary school in 1977, and in the province hall in 1978. Drenthe is situated at 52°55′N 6°35′E in the northeast of the Netherlands; with to the north the province Groningen, to the west the province Friesland, to the south the province Overijssel, and to the east the German districts Emsland and Bentheim in the state Lower Saxony. Drenthe is the 9th largest province of the Netherlands. It has a total area of 2,683 km2 (1,036 sq mi), with 2,639 km2 (1,019 sq mi) of land and 44 km2 (17 sq mi) of water. About 72% of the land or 1,898 km2 (733 sq mi) is used for agriculture. Drenthe has several heathlands and no significant rivers or lakes. 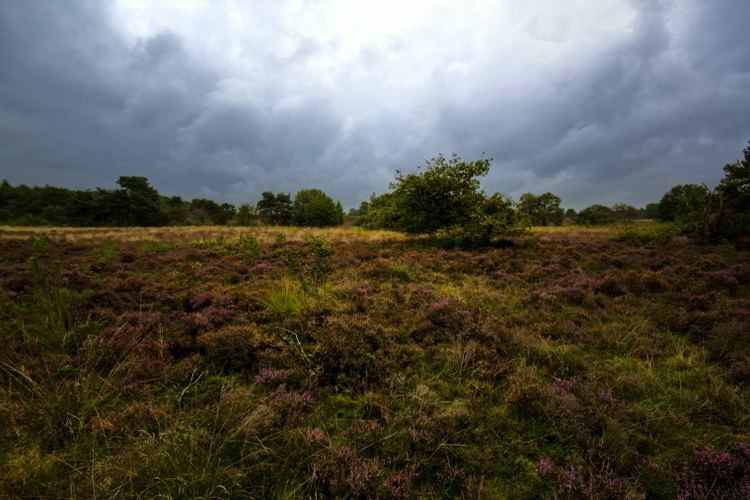 The national parks Drents-Friese Wold and Dwingelderveld (IUCN category II) and the national landscape Drentsche Aa (IUCN category V) are all (partially) located in the province. The major urban centers of the province are the capital Assen in the north and Emmen, Meppel, Hoogeveen, and Coevorden in the south. The province (Nomenclature of Territorial Units for Statistics or NUTS level 2) is divided into three COROP regions (NUTS level 3): North Drenthe, Southeast Drenthe, and Southwest Drenthe. The COROP regions are used for statistical purposes. The Netherlands has been subject to a large amount of municipal mergers during the last decades. Drenthe is no exception; the largest concurrent merger happened in 1998, when 32 municipalities were amalgamated into 10 larger municipalities. As of 2014 Drenthe consists of 12 municipalities; Emmen is the largest municipality in terms of both population and area, Westerveld is the least populous and Meppel covers the smallest area. The municipalities Assen, Noordenveld, and Tynaarlo are part of the interprovincial Groningen-Assen Region and the municipalities Aa en Hunze, Assen, Borger-Odoorn, Coevorden, Emmen, Midden-Drenthe, Noordenveld, and Westerveld are part of the international Ems Dollart Region (EDR). Drenthe has an oceanic climate (Köppen climate classification: Cfb). 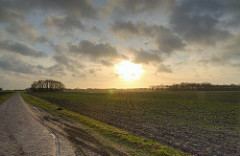 On 1 January 2014, Drenthe had a total population of 488,957 and a population density of 182.2/km2 (472/sq mi). It is the 3rd least populous and least densely populated province of the Netherlands, with only Flevoland and Zeeland having fewer people. Emmen is the most populous municipality in the province. Agriculture is an important employer, although industrial areas are found near the cities. The quietness of the province is also attracting a growing number of tourists. Drenthe is known as the "Cycling Province" of the Netherlands and is an exceptional place for a cycling holiday, having hundreds of kilometres of cycle paths through forest, heath and along canals and many towns and villages offering refreshment along the way. Drenthe exports through the entire Netherlands and also receives supplies and goods from Germany, making it a good business district. Many Dutch and German multinational companies are settled in Drenthe. Over half the population of Drenthe speaks the Drents dialect. Each town or village has its own version. All versions are part of the Low Saxon language group. Dutch Low Saxon has been officially recognised by the Dutch government as a regional language and is protected by the European Charter for Regional or Minority Languages. FC Emmen is the only professional football club in Drenthe. It plays in the Eerste Divisie and its home stadium is JenS Vesting. The TT Circuit in Assen hosts a MotoGP race and the Dutch TT. Drents Museum is an art and history museum in Assen. It had 227,000 visitors in 2013. The States of Drenthe have 41 seats, and is headed by the King's Commissioner, currently Jacques Tichelaar. While the provincial council is elected by the people of Drenthe, the Commissioner is appointed by the King and the cabinet of the Netherlands. With 12 seats, the social democratic PvdA is the largest party in the council. The daily affairs of the province are taken care of by the Gedeputeerde Staten, which are also headed by the Commissioner; its members (gedeputeerden) can be compared with ministers. The motorways A28 (E232), A32, A37 (E233), and the other major roads N33, N34, and N48 are maintained by the state. Groningen Airport Eelde is a minor international airport located in Eelde in the province of Drenthe. Hoogeveen Airport is a general aviation airport located in Hoogeveen. ASTRON, the Netherlands institute for radio astronomy, is located near Dwingeloo. Their single-dish radio telescope of the Dwingeloo Radio Observatory was completed in 1956 and is now a national heritage site (rijksmonument). Their Westerbork Synthesis Radio Telescope is an array of fourteen dishes near the village of Westerbork and construction was completed in 1970. Their international Low-Frequency Array with its core near Exloo was completed in 2012. In Assen, Emmen, and Meppel are universities of applied sciences (hogescholen). The Stenden University of Applied Sciences has locations in these three towns, which formed the Drenthe University of Applied Sciences before a merger in 2008. The Hanze Institute of Technology, part of the Hanze University of Applied Sciences, is located in Assen. There are no research universities (universiteiten) in the province of Drenthe. RTV Drenthe, the regional radio and television station, is based in Assen. The regional daily newspaper for the provinces of Drenthe and Groningen is Dagblad van het Noorden, which is based in the city of Groningen.